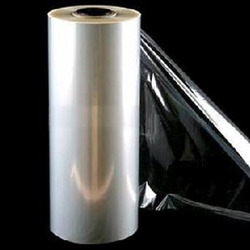 Keeping in view the varied demands of our respected customers; we are betrothed in offering to our patrons an inclusive collection of Heat Sealable BOPP Film. Catering to the needs ofpackaging industry, we bring forth superior quality metallized BOPPfilms, that are in exuberant demand in the markets. Availability ofhi-tech machines and team of adroit workers enable us to offer thesefilms in a wide assortment of sizes, finishes and thickness to optfor. Profile: It is pearl co-extruded, Both side corona treated, non-heat sealable BOPP film. - Excellent skin core adhesion. Both side treated & heat sealable Metallized film with high barrier PerformanceOne side treated & other side non heat sealable Metallized filmMatt metallized heat sealable film with very good metal adhesion, optical density & barrier properties. We are ranked amongst the most trusted firms deeply engaged in offering a wide range of Heat Sealable BOPP Film. We offer Heat Sealable BOPP Film to our clients. Being a well established-organization, we are engaged in providing a distinguished range of Heat Sealable Holographic BOPP Film.